A few people asked for painted rocker photos…and while the sun was out I remembered! Sophie’s up there rockin’ her jammies at noon. Of course I was fully dressed/makeup/hair done as usual. This color is fabulous. I see more of it in my future (from Walmart ). Just remember to read the can and not spray paint outside when it’s 30 degrees. Turns out spray paint freezes. So the chair needs some touch ups…or else I’ll just call it “character” and leave it. I painted my red rocker pink to put in Sophie’s room. She’s just getting big enough to love it. I have no explanation for this one….just thought you should be jealous that I have Spiderman practicing airport ground control living at my house. I would be jealous if spiderman didn't visit my house on a regular basis! love the rockers! My girls love to stay in jammies, so you are doing outstanding getting your daughter dressed 2 out of the 3 days. I just love the rocker. I wish I could find one for my girls! I want the good old fashioned wooden one! So far no luck! Love it all, so sweet!! Love the rockers! I think every chair should be a rocking chair. Spiderman is the bomb too. Aren't little boys grand! Hey, I had a Spiderman too back in the day! Except it was the black one from the 3rd movie? Now he's almost a teenager :( Enjoy it now and take lots of pictures!! I have a spiderman, and she's my 4 year old granddaughter. She loves superheroes. My kids are all in or near their 30's now, but the grandkids are starting to roll in, and I get to re-live it all, but it's better the second time around :) Miss my babies, though. I love this brand of spray paint! When I redid my bedroom this summer, I painted a wicker chair brown and a rakehead green (to hold necklaces and bracelets). 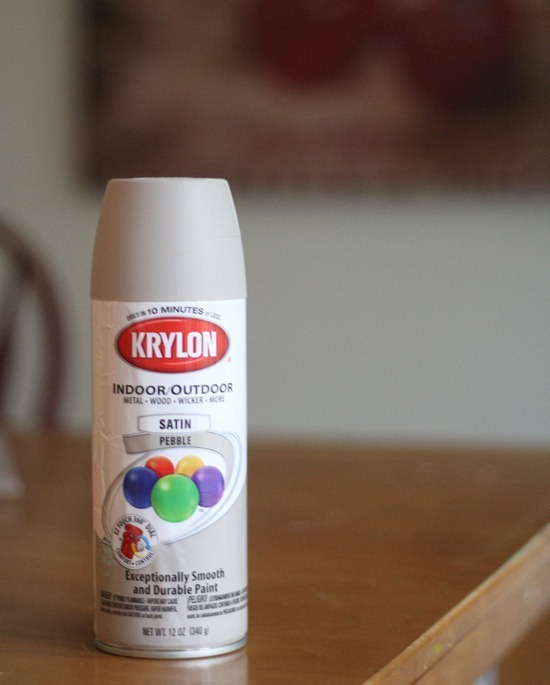 This paint is so easy to use! I would be so jealous but we have Buzz Lightyear living at our sons & ddil's house. Love the rocker. My 3 year old granddaughter had her Spiderman outfit on just last night…she loves Spiderman! 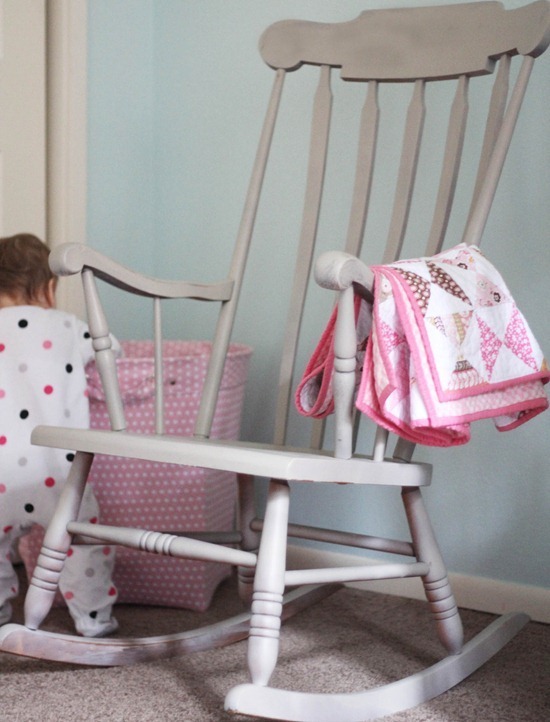 I love the little pink rocker! Was that a spay paint, too? Those rockers are fantastic! 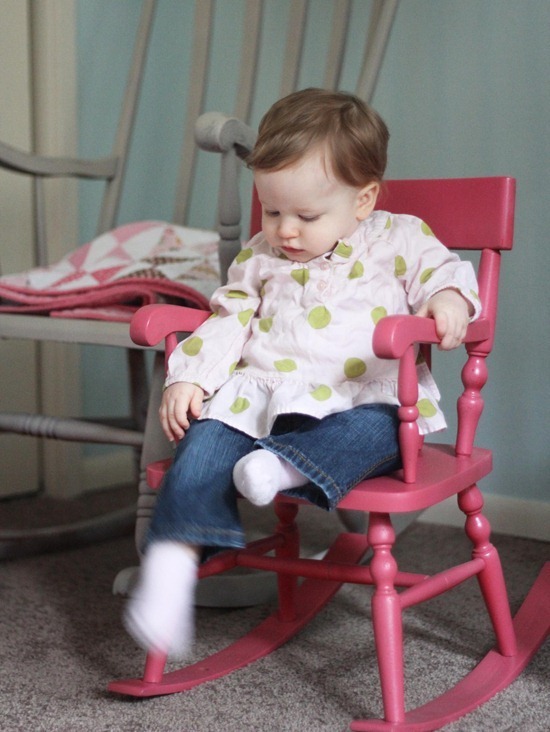 I love a rocking chair and had one when my eldest was little but it got left behind when we moved country. Time to look for another one I think! I have one of those spiderman characters in my life, would not swap him for anything. The rockers look good, I'm going to paint mine too. Love the pink. 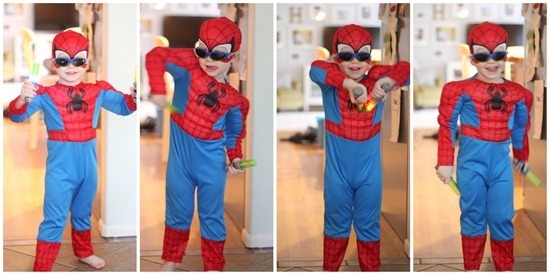 Sigh—I miss my little spiderman running around my house. He's 13 now and would like silly in the size 3t spiderman outfit! However, I can empathize with you about pajamas all day for littles. I find 1 day on the weekend that we all stay in jammies for the day. Unless they get totally grunged out from yogurt and bananas, then I gotta change them into clothes. I miss my little boy being little but totally enjoying my little girls being little. Sweet pics and thanks for sharing. Thank you for posting pictures of the painted rocking chairs. Beautiful. I was worried about finding a paint that one could use on chairs. That would not come off when you sit on them. I love both of those rockers! They are both great colours!